Since joining the company in 2015, Bob Ucman has served as Vice President of Manufacturing and currently is the Vice President of Business Development for Roush Yates Manufacturing Solutions. 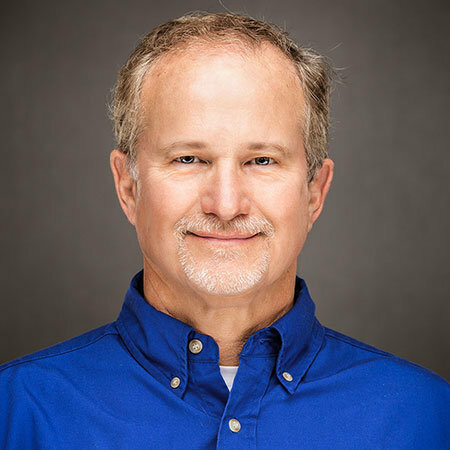 He provides strategic leadership and is responsible for ensuring the availability of products and operational excellence of Roush Yates Manufacturing Solutions. Ucman leads a team of 30 employees to deliver top quality products to stakeholders by applying world-class production methodologies and processes. He and his team were instrumental in the achievement of ISO 9001 / AS9100 certification and the continual pursuit of quality assurance and continuous improvement. Prior to joining the Roush Yates Engines team in 2015, he worked as the Division Manager for Stealth Engineering directing the CNC manufacturing operations for the automotive performance parts group, working with top tier teams in NASCAR and NHRA racing. His career at Stanley Black and Decker as the aerospace western United States territory manager for the Spiralock division provided a broad background in developing applications for a variety of commercial and military aerospace, space craft and satellite customers. He is an avid motorcyclist, snow skier, Michigan State University Spartan and loves to spend time in the great outdoors. Ucman completed his undergraduate degree at Valparaiso University and pursued his graduate work at Michigan State University.